If you are in recovery and you are also dealing with a chronic illness or chronic pain, you know that you face a real challenge. According to an article in Care Companion: Journal of Clinical Psychiatry, when individuals in recovery experience pain, they are less likely to receive adequate pain management than individuals in the general population, due to concerns about potential medication abuse or substance abuse relapse. While prompting a return to illicit drug use is certainly a concern when taking prescription drugs that utilize the same brain reward pathways, inadequate pain relief itself is a significant risk factor for relapse. In addition, other medical illnesses that co-occur with chronic pain sometimes further complicate effective pain management for those in recovery. SAMHSA’s Treatment Improvement Protocol manual on Managing Chronic Pain in Adults with or in Recovery from Substance Use or Disorder (TIP# 54) published statistics indicating that approximately 56% of people ages 20 and older experienced pain that lasted for more than 3 months and 57% of people ages 65 and older experienced pain that lasted more than 12 months (National Center for Health Statistics, 2006). So chronic pain is a very common occurrence that deserves serious attention. Chronic pain that is persistent and not associated with an imminently terminal condition requires long-term management. 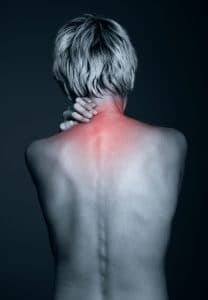 Some causes of such chronic pain include arthritis, fibromyalgia, back injuries, inflammatory bowel disease, endometriosis, headaches/migraines, and pain following accident or injury. Chronic pain of six months or longer can contribute to depression or anxiety, sleeplessness and restrictions in normal daily activities. 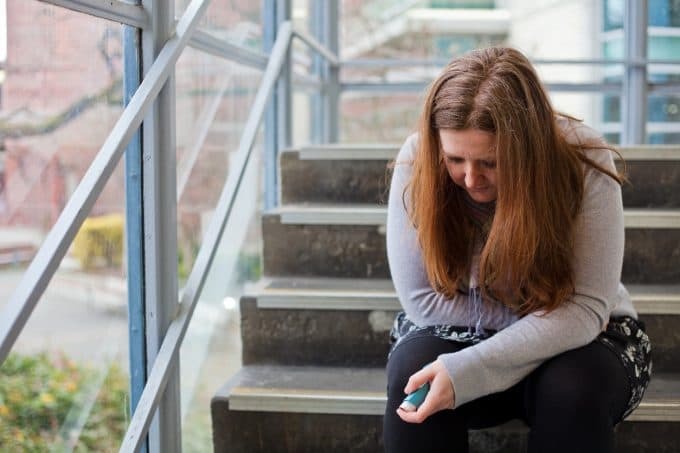 Physical inactivity and a lack of engagement with life may then worsen anxiety or depression, and create an increased risk for suicidal thoughts or intentions. People in recovery have a greater risk for misuse of pain medication. 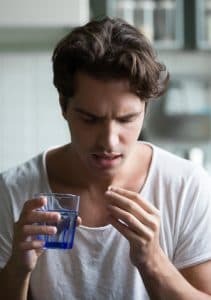 They may feel a need for higher dosing of medication not only to treat their pain, but because their brain more easily becomes de-sensitized to chemicals like those found in pain medications. Taking opioids for more than four weeks leads to desensitization and a reverse effectiveness in the medication’s pain relieving capacity. So opioid addiction actually causes chronic pain to increase. To counter such effects, a new pain management intervention called Improving Pain during Addiction Treatment (imPAT), is being studied by the University of Michigan Medical School’s Addiction Center and the Ann Arbor MI Veterans Administration’s Center for Clinical Management Research. The treatment protocol, developed for the 2016 study, involves combining elements of two psychological approaches–traditional cognitive behavioral therapy and a psychosocial approach called acceptance and commitment therapy. The combined techniques aim to help people adapt to their pain, find ways to distract themselves from the pain, and think of ways to function despite the pain. Not only is chronic pain a complication and concern for those in recovery, so, too, is chronic illness. Many people in recovery may also be dealing with chronic medical illnesses. According to the National Health Council, almost half of the U. S. population lives with pain or a chronic physical illness. More than a quarter of Americans have at least two such conditions co-occurring at the same time. Disease: Because drugs like cocaine, heroin, marijuana, steroids and tobacco can damage the cardiovascular system, chronic use of these substances is often associated with heart conditions. If the substance user enters recovery, the risk of further damage can be reduced. Unfortunately, people with heart disease are more prone to depression or anxiety, both of which are illnesses commonly linked to self-medication, where alcohol or illicit drugs are used to diminish the experience of feeling uncomfortable emotions. Mental Disorders: Mental illness and substance abuse often occur together. Many people who have mental illnesses like depression, anxiety, schizophrenia, or personality disorders also have substance use disorders. Mental disorders can be both a cause and an effect of drug use, sometimes in attempt to self-medicate, and other times due to excessive use of a substance. In either case, it is important to get treatment for each condition separately and to manage medications with the risk of addiction or relapse in mind. Doctors and other clinicians familiar with co-occurring disorders can provide such treatment. Infectious Diseases: Infectious diseases such as HIV/AIDS and Hepatitis B and C are commonly linked to the abuse of heroin, cocaine, steroids, methamphetamine, and opioids. According to the Hepatitis B Foundation, between 200,000 and 300,000 people are infected with hepatitis B in the U.S. each year, and 20% of these are injecting drug users. But prevention is possible. A Hepatitis B vaccine is available that protects most people for life. For those who are already infected with Hepatitis B, seeking treatment from a liver specialist and avoiding further contact with potentially infected bodily fluids are important ways to manage and treat the disease. Acupuncture has become one of the most widely used non-drug treatments for substance abuse. It is often utilized as part of a detoxification program. Acupuncture stimulates release of the brain chemical dopamine, which can help reduce cravings for illicit substances. Biofeedback helps people learn to consciously control their heart rate and their response to stimuli. It can be used to teach a person to manage their response to pain and reduce their perception of its intensity. Chiropractic care is used to treat chronic low back pain, neck pain, and headaches. Chiropractic spinal manipulation as well as physical therapy and/or massage treatments are often available from a doctor of chiropractic medicine. Hypnosis can incorporate the use of imbedded mental suggestions to increase relaxation, reduce anxiety, and encourage the mind to perceive lowered pain levels. Mindfulness meditation can help “retrain” the brain’s reward centers by increasing conscious (mindful) awareness of subliminal craving cues and decreasing the perceived potency of such cues or triggers. Yoga or Tai Chi both focus on using breath awareness and slow, controlled body movements to increase the production of positive brain chemicals that provide relief from stress, anxiety and depression.